Dhaka, 3 August, Abnews: Despite over a century of intense study, we still know very little about the people buried at Stonehenge or how they came to be there. Now, a new University of Oxford research collaboration, published in Nature Scientific Reports, suggests that a number of the people that were buried at the Wessex site had moved with and likely transported the bluestones used in the early stages of the monument’s construction, sourced from the Preseli Mountains of west Wales. Conducted in partnership with colleagues at the UCL, Université Libre de Bruxelles & Vrije Universiteit Brussel), and the Muséum National d’Histoire Naturelle de Paris, France, the research combined radiocarbon-dating with new developments in archaeological analysis, pioneered by lead author Christophe Snoeck during his doctoral research in the School of Archaeology at Oxford. While there has been much speculation as to how and why Stonehenge was built, the question of ‘who’ built it has received far less attention. Part of the reason for this neglect is that many of the human remains were cremated, and so it was difficult to extract much useful information from them. Snoeck demonstrated that that cremated bone faithfully retains its strontium isotope composition, opening the way to use this technique to investigate where these people had lived during the last decade or so of their lives. Analysis of small fragments of cremated human bone from an early phase of the site’s history around 3000 BC, when it was mainly used as a cemetery, showed that at least 10 of the 25 people did not live near Stonehenge prior to their death. 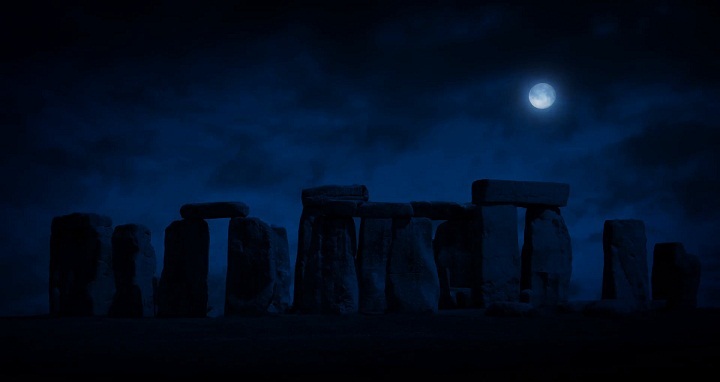 Instead, they found the highest strontium isotope ratios in the remains were consistent with living in western Britain, a region that includes west Wales – the known source of Stonehenge’s bluestones. Although strontium isotope ratios alone cannot distinguish between places with similar values, this connection suggests west Wales as the most likely origin of at least some of these people. Rick Schulting, a lead author on the research and Associate Professor in Scientific and Prehistoric Archaeology at Oxford, explained: ‘To me the really remarkable thing about our study is the ability of new developments in archaeological science to extract so much new information ¬from such small and unpromising fragments of burnt bone.